No. 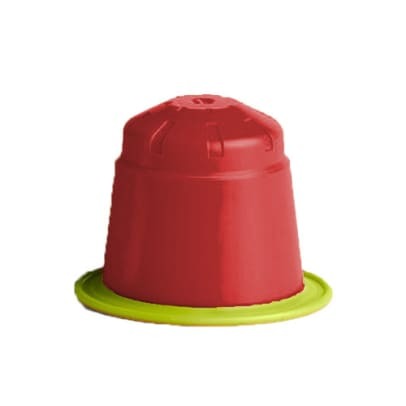 8 capsules Nespresso® from Peter Larsen. Rich and comfortable organic espresso with great aroma and rich crema. A coffee with a light acidity and mild fruity aftertaste. Can be drunk with milk. The capsules contain 100% Arabica coffee. The capsules are made of fibers from sugar cane, which makes the capsules 100% bio-compostable. All packaging is completely degraded after about 12 weeks. 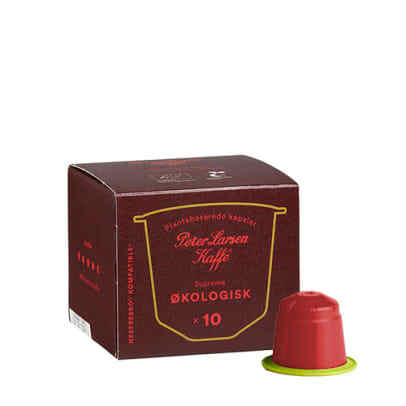 Peter Larsen Kaffe has now introduced those Nespresso®-compatible capsules. This means that you now can enjoy the wll-known high quality from Peter Larsen in your Nespresso® machine. 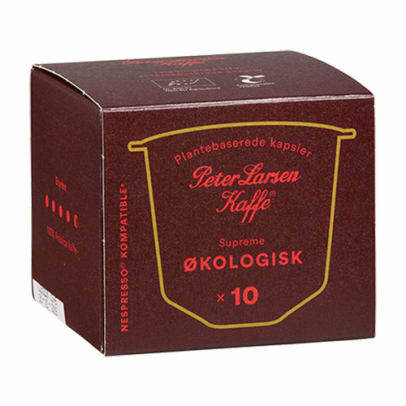 The new capsules from Peter Larsen Kaffe are made of fibers from sugar cane, which ensures that the capsules are 100% bio-compostable. If you throw the capsules in the compost pile or sorts them with other bio-waste, thet will be completely degraded after about 12 weeks. You can safely take advantage of the new capsules from Peter Larsen with a clear conscience. The coffee is made of 100% Arabica hand picked coffee beans, which are slow-roasted.  This provides the greatest guarantee of high quality. 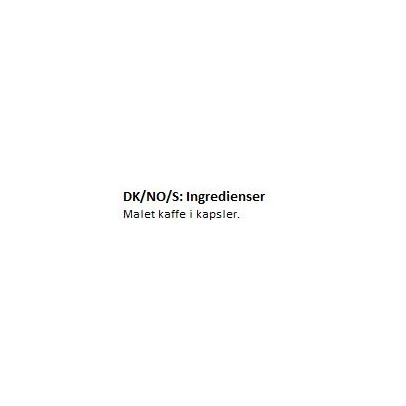 Moreover, this coffee from Peter Larsen is organic. You get rid of pesticides, additives, etc. Nespresso® is a third party trademark and not connected / associated with Peter Larsen Kaffe.